The Little Prince is undeniably sad. Everything about it catches you in the throat, but in its sadness it is heartwarmingly deep. When you are forced to think deeply you expand your minds and are refreshed because you discover problems as just shallow annoyances. The Morgan Library and Museum’s special exhibit on The Little Prince shows how even this short book required hours of rewriting and drawing, just so author Antonie Saint-Exupery could pare the story down to the bare essentials, like any true piece of art. But in seeing the 15 times Exupery rewrote the famous quote about seeing with the heart and not the eyes, as well as all the drawings and characters he threw out of the final version, I realize that failure the first few times is just part of the process. Most will only see and regale the final result, but those who know the process understand the richer story. Hold on to what you are, forget (while learning from) all the ways you’ve failed, and work towards what you want to be. In every sad heart there is a kindred spirit, and while you appear weak on the outside, what is inside is infinitely stronger and binds us together. Speed is necessary, but when creating your best work, you need time and dedication, to rewrite hundreds of times, to get it just right. Everything is about appearances. We are all floundering through life, only some are better at moving faster and standing straighter than others. You see, one loves the sunset, when one is so sad. 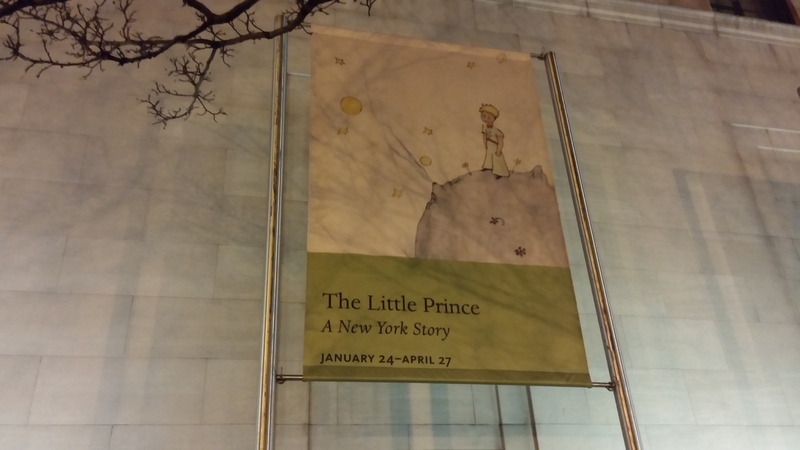 Tags: Commencement, Exupery, sadness, sunsets, The Little Prince, The Morgan Library and Museum, work. Bookmark the permalink.